I first installed the dash and door speakers, which improved the sound quite a bit, but were too "boomy" for my liking. Next, I built a subwoofer box and installed it in my truck and installed capacitors (high-pass crossovers) on my dash and door speakers to get rid of the boomy bass. 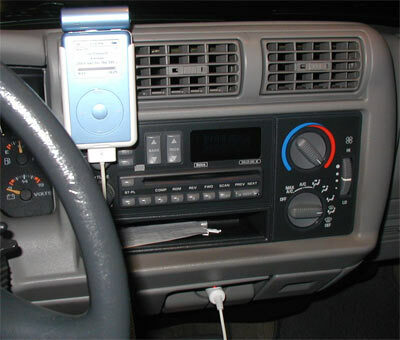 Finally, a few years later, I purchased the iPod and accessories to allow me to access my entire music collection whenever I wanted. I desired higher-fidelity sound than the stock speakers afforded. I listened to and researched many products, and these provided the cleanest sound availible. Maybe a new head with an auxiliary input so that I don't have to use the FM modulator.